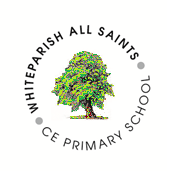 Whiteparish All Saints is a very successful school with high academic standards. There is a full curriculum and plentiful outstanding extra-curricular activities helping the children to develop into well-rounded individuals, growing with confidence and resilience. The secret of our success is the thrill of learning that comes from being inspired and challenged by creative, fun-loving teachers who know the children well and who give them the opportunities to speak out and to succeed. Our children leave us with very happy memories of their primary school and go on to have strong records in secondary education. We are an ‘Outstanding’ Ofsted and SIAMS school. Our Headteacher is retiring in Dec 2019 and we are looking to employ an innovative and dedicated Headteacher to lead the school forward with enthusiasm and enjoyment. Respect, Friendship, Perseverance, Creativity and Responsibility. A leader, providing strong guidance to motivate, empower and inspire. Embracing of new challenges and who will look for opportunities to improve and innovate. Approachable, friendly and keen to foster positive relationships and partnerships with staff, governors, parents, the community, our school cluster and the diocese. Aware of advances in education, making changes and improvements where beneficial. Positive about the benefits of a full, wide-ranging curriculum and extra-curricular activity. Supportive of our Christian values and ethos. A warm and friendly school that is thriving academically and socially. Happy, well behaved children who love their school and their teachers and who want to learn. Staff who are talented, capable, enthusiastic, hard-working and co-operative. Very supportive and hands-on governors who provide regular help and encouragement. CPD and support in areas that may be needed. A supportive cluster of local schools and co-operative HTs through our signed collaborative agreement. A strong community feel with many volunteers and a strong PTA committee. Praising, nurturing and encouraging kindness and friendship in all we do. Respect for each other, taking nothing for granted. The curriculum taught in innovative and enjoyable ways. Extra-curricular activities that give the children opportunities to stand out and encourage the development of well rounded, confident and resilient children. Whiteparish All Saints Primary School has a PAN of 21 and runs 5 mixed aged classes. We have a strong and inclusive Christian ethos. We are located in the popular village of Whiteparish, with a thriving community. If you think this role is right for you then please let us know, by applying using the documents provided below or by contacting us on the details below. Please include a cover letter with your application (approx 2 sides of A4) and ensure you give plenty of evidence of how you meet the criteria for the role. We encourage you to visit our school before applying. Please call 01794 884420 or email admin@allsaints.wilts.sch.uk to arrange this. Safeguarding Statement - We are committed to safeguarding and promoting the welfare of children and young people and expect all staff and volunteers to share this commitment. We follow safer recruitment practice and staff are subject to an enhanced DBS check and references.